International Open Access Week is upon us! Celebrate open access and publishing with the PSU Library from October 24 through October 30, 2016. Open access the movement to make scholarly endeavors available to the public without financial and licensing barriers. Open access is the immediate, online availability of research that have minimal license restrictions. During Open Access Week, the PSU Library will highlight library services that support open access publication and open access resources offered by the Library. The PSU Library will join other libraries, academic institutions, researchers and publishers to celebrate, promote, and discuss open access. 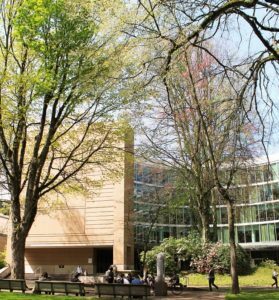 PDXScholar, Portland State Library’s institutional repository, is our foremost open access service. PDXScholar makes PSU student and faculty research available to researchers anywhere in the world. The Library also supports the publication of open access journals such as Anthos, Hatfield Graduate Journal of Public Affairs, and the PSU McNair Scholars Online Journal. The Library supports the development of Open Educational Resources, educational materials that everyone can use, modify, and freely share. PDXOpen projects have already saved PSU students $61,294! Stop by the Library this week to see a display highlighting some of these books on our new books shelf.